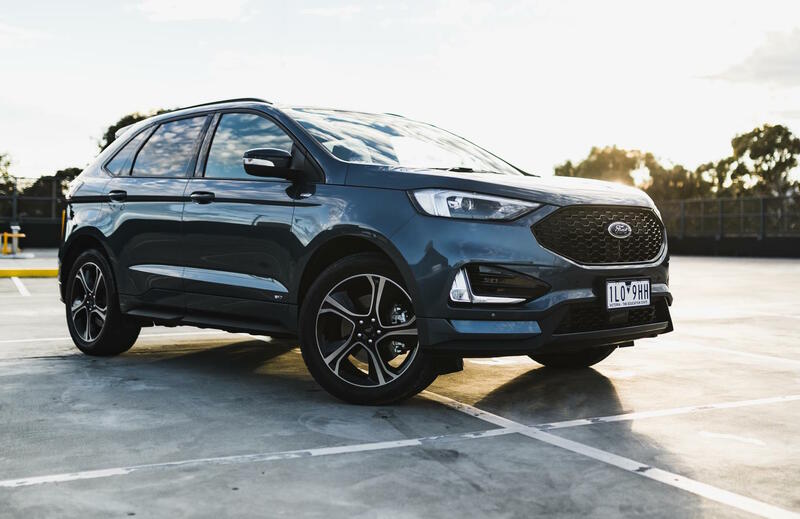 Aussie automagazine PerformanceDrive has recently released the latest info about the all-new 2019 Ford Endura, aka the Ford Edge in the United States. The 2019 Ford Endura will arrive in Australia this December, the company confirming only the diesel lineup for the moment. All three versions, the Endura Trend, ST-Line and the top of the line Titanium will be equipped with a 2.0-liter turbo diesel with 140 kW and 400 Nm of torque, available with a front- and all-wheel drive setup, and paired to an eight-speed automatic transmission. Visually, the new model will come with plenty of new tweaks, such as LED cornering headlights and LED taillights, or 18-inch alloy wheels. However, each variant will feature its own body package. Inside, the cabin is equipped with push-button start, dual-zone climate control, Android Auto and Apple CarPlay, 8.0-inch touchscreen media interface with SYNC 3 software, rearview camera, and much more, all part of the standard equipment, which is amazing. As for prices involved, the cheapest variant is the Endura Trend FWD with a $44,990 price tag, while the the top of the line Endura Titanium FWD can be had for $63,990. Full prices and equipment for each trim were released by PerformanceDrive and can be browsed below. 2019 Ford Endura Titanium AWD – $67,990.